Why do doctors waste the patient’s money by doing a laparoscopy for infertile couples ? Because infertility treatment can be so expensive, patients end up spending a lot of money on this. Part of the problem is because you're never sure whether the treatment is going to result in a baby or not, patients need to be very frugal. They will spend a lot of time searching for a doctor who does laparoscopies for infertility treatment for the least amount of money. 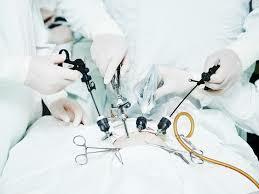 The reality is you should not be doing a laparoscopy for infertility. Part of the problem is that laparoscopy has become “routine” , which means this has become a very over used, abused, and misused procedure. Most gynecologists do it routinely, without even thinking about whether the patient needs it or not. When you have a hammer, everything looks like a nail, and because a laparoscopy is the only procedure the gynecologist can offer for an infertile woman, he says, "Fine, let's put a telescope inside, and see what's going on, so we can make a diagnosis." But the problem is that just because it's “ minimally invasive” , and easy to do for the surgeon, this doesn't mean it's right for the patient ! The truth is that a laparoscopy does not change your treatment options, so you're far better off going to a gynecologist who doesn't do a laparoscopy for you, because he knows that you don't need it ! Instead, a good gynecologist will offer non invasive, lower cost options, such as a hysterosalpingogram, and an ultrasound , to check your uterus and tubes ! Why do surgery if you don’t need it ?